Please read these terms and conditions carefully. They apply to all holidays and flights described in our brochure / website and they deal with your rights and obligations to us and ours to you. We are committed to a policy of fair trading and make every effort to ensure that you have an enjoyable holiday with us. 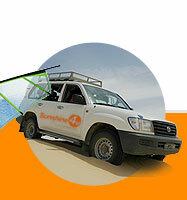 As soon as we dispatch your holiday confirmation invoice, but not before, your contract with Sunshine 4U takes effect. Once the contract is made, we are responsible to you to provide the holiday you have booked and you are responsible to us to pay for it subject to our advertised terms and conditions detailed elsewhere in the brochure/website. Please note it is important to check carefully the written confirmation of your booking when you receive it, or, if booking late, that all the details are exactly as requested at the time of booking. Our responsibility is to provide you with the holiday you have booked as described in the brochure/website and as confirmed to you. If you wish to cancel or change your booking you may have to pay cancellation or amendment charges. With parties of two or more people, the person who makes the booking accepts responsibility for making all payments to Sunshine4U.co.uk for all members of the party. We will send all documents and other information to that person who will, in turn, be responsible for ensuring that the other members of the party are kept fully informed. Payment for your holiday is as follows : a) if you book more than 10 weeks before your holiday departure date you are required to pay a deposit of at least £100 per person ( £150 for long haul holidays such as Egypt). The balance is payable 10 weeks before departure. b) if you book less than 10 weeks before departure you must pay the full price of your holiday at the time of making the booking. Payment may be made by cheque (if there is time to clear it to meet the payment schedule shown above; you should allow 5 working days for clearance from the time we receive it) or with a credit or debit card (a surcharge may apply) acceptable by Sunshine4U . If you have paid your deposit by debit/credit card, Sunshine4U will automatically debit the balance due from the same card unless advised in writing not to do so. We reserve the right to cancel your holiday if you fail to make payment on time. In this case, you will lose your deposit. Please note Sunshine4U does not send payment reminders or receipts. It is a condition of booking that you take out Sunshine4U's holiday insurance or arrange another policy which provides you with at least the same amount of cover. The cost of medical and other treatment overseas can be high, and, if no insurance is taken, we will not be able to assist you in any way. Please also ensure that you are fully protected against possible flight delays. If you do not take our insurance, we require you to give us details of the alternative insurance you have arranged. As cancellation cover applies immediately, no refund of insurance premiums can be made. We believe the cover offered by Sunshine4U's insurance is perfectly adequate for our holidays but, should you need additional cover for whatever reason, or should you wish to increase the insured amounts, it is your responsibility to arrange additional cover. If we cancel your holiday, we will refund you the insurance premium but only if you have taken out Sunshine4U's holiday insurance. If you have a problem during your holiday, please inform the relevant supplier (e.g. your hotelier) and our resort representative or local agent immediately who will endeavour to put things right. If you wish to pursue your complaint on return to the U.K., you must write (and send by recorded delivery) to our "Customer Services Department " at "First Floor,17 Blossom Street, London E1 6PL" giving your booking reference and all other relevant information. Disputes arising out of, or in connection with, this contract which cannot be amicably settled may be referred to arbitration, if the customer so wishes, under a special Scheme arranged by the Association of British Travel Agents, and administered independently by the Chartered Institute of Arbitrators. The flights in our brochure/website are scheduled to be operated by Air Atlanta, Astraeus Airlines, BMI, British Airways,Cyprus Turkish Airlines, Tunisiair, First Choice, Thomsonfly, Thomas Cook, MyTravel Airlines, Monarch, Turkish Airlines, Olympic Airways, Nouvelair, Carthago, Excel Airways, Pegasus, Onur Air, , Ryanair and Easyjet. However, we reserve the right to change airlines and aircraft type without notice. Such changes will not be regarded as "significant" and you will not be entitled to cancel your holiday without paying the appropriate cancellation charge (see "If You Cancel"). Certain flights may require a technical stop en route (e.g. refuelling or picking up passengers). Where this is known in advance you will be advised accordingly. Although the flight times in our brochure/website are correct at the time of going to press, they are subject to alteration by, amongst other things, the various UK and overseas airport scheduling committees. You may be entitled to cancel your holiday booking without penalty or to receive compensation when the change to your flight times is 12 hours or more (see "If We Make Changes"). All bookings are accepted subject to the Civil Aviation Authorities granting the relevant licences. You are reminded that aircraft captains have absolute authority over the aircraft and its passengers while boarding or in flight. The captain or other authorised representatives or the airline(s) can refuse to carry anyone if they are unruly or deemed unfit to travel or are seen as a danger to the flight or any other passengers. This decision is final and not open to appeal. If you are refused carriage in these circumstances, your holiday will terminate immediately as will the contract between you and Sunshine4U and we will have no further responsibility or liability to you. When you book a Sunshine4U holiday you accept responsibility for the proper conduct of yourself and, where applicable, your party whilst on holiday. We reserve the right to cancel any holiday at any time. We also reserve the right to cancel or terminate your holiday and/or that of any member of your party due to misconduct. If your actions or those of any member of your party cause damage to the accommodation in which you are staying or cause delay to any flight or other means of transportation, you agree to fully indemnify us against any claim (including legal costs) made against us by or on behalf of the owners of such accommodation or other operator of such flight or other means of transportation.